It’s a wonder to me, as an appreciator of good television and good sitcoms especially, that The Mary Tyler Moore Show is not better remembered. Sure, it turns up in lists of great television shows here and there but you hardly ever hear of it otherwise. It’s a shame not only because it’s a classic of the highest order when it comes to sitcoms but because, like many an old film it stands up as being tremendously good. There seems to be a divide in the world of movies and television when it comes to appreciation of the classics. It’s seen as a shame if someone hasn’t seen a classic 70s film like ‘The Godfather’, ‘Taxi Driver’ or ‘Annie Hall’, especially if that person is a serious film fan. But old television is seen, oftentimes, as disposable. There is an audience for it, in re-runs, for a certain amount of time and there exists such things as ‘TV Land’ but it isn’t viewed as something that people with good taste gravitate toward. Reasons exist for this, of course. Television is seen as a medium that exists to sell advertisements. And what is popular in television is often not very good. Not to mention that some of the finest television produced, when it disappoints the bottom line and doesn’t draw ratings can tend to be cancelled despite being at it’s creative peak. The cream doesn’t always rise to the top in television and while that’s true for movies, as well, and all of pop culture, it can be more pronounced in television, especially broadcast television. This is reason to celebrate those shows that maintan a level of high quality and manage to connect with a large audience. 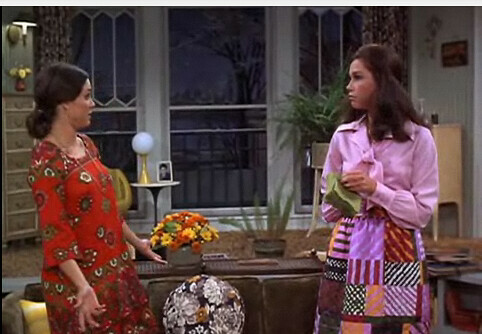 The Mary Tyler Moore Show is one of those shows. And yet it feels as though it’s been largely forgotten. For a show that lasted seven season, spawned three spin-offs and won and was nominated for more Emmys in it’s seven seasons than all but one other show in the history of television, this seems quite odd. And yet it’s consistent with how television, especially what is seen as old television, is treated. I would argue that the shows contemporaries, most notably ‘All in the Family’, seem to have faired slightly better in the memories of the general public, but not by much. Old television is put out to pasture in a way that old movies never are. 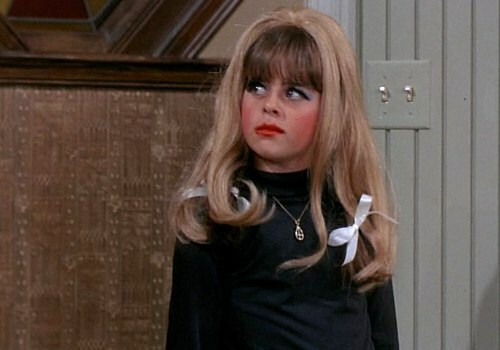 Even something like the aforementioned TV Land, that is supposed to celebrate the best of old television, is more interested in promoting things like Everyone Loves Raymond or The King of Queens and, it seems, see it’s older shows as more filler than filet mignon. This may have to do with the fact that there are more Film Aficionados out there than anyone who much care about the history and quality of television, especially when it comes to the sitcom, a form that is disrespected not only by audiences but by, in many cases, creators as well. In this day and age, however, television and the criticism of it have become something that has an audience on the internet. Websites such as The Onion’s AV Club and web personalities such as Alan Sepinwall take television seriously and review it on an ongoing basis. There are flaws with this, of course, as many programs have a level of serialization that makes week to week reviews a hassle but the rise of shows ranging from Community to Mad Men have the presence of the web to make these reviews things that people (such as myself) will read and enjoy and debate. 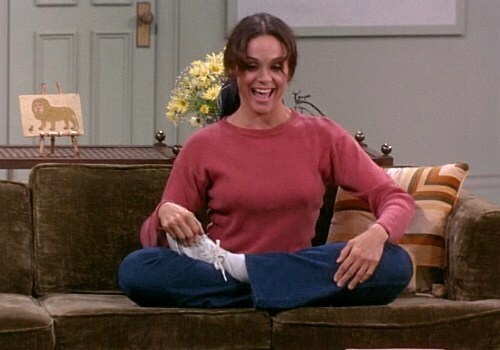 And while the AV Club’s TV Club does have a selection of ‘classics’ it reviews, as of yet there is many a fine series that has not gotten such treatment – ‘The Mary Tyler Moore Show’ being a prime example. 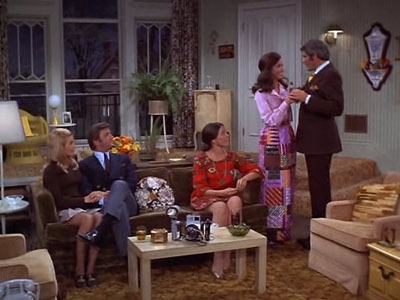 It’s with these things in mind, I welcome you to an ongoing series of reviews of the first season of The Mary Tyler Moore Show, which will start soon with the pilot episode: ‘Love is All Around’. I’ll have further thoughts on the series and why I think it’s important and even, in fact relevant to today’s culture in that review, which I’ll be posting in the next few days.